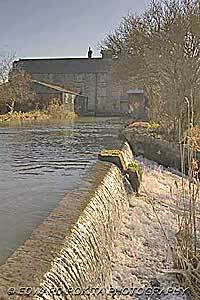 Cauldwell's mill can be visited every day throughout the summer and at weekends during the winter months. The mill has a reputation for producing a high quality strong bread flour using Canadian hard wheat but also produces a strong wholemeal flour. The mill is an important educational resource for school children, who can take part in special workshops, with worksheets and a teacher's pack available. Local craftsmen, a craft shop and a cafe now occupy the stables, cart sheds and stores around the courtyard.